A key goal of the 70th anniversary meeting will be to highlight NATO’s past successes and present a unified vision for its future. The United States was the driving proponent of NATO’s creation and has been the unquestioned leader of the alliance as it has evolved from a collective defense organization of 12 members focused on deterring the Soviet Union to a globally engaged security organization of 29 members. Successive U.S. Administrations have viewed U.S. leadership of NATO as a cornerstone of U.S. national security strategy. Proponents of NATO cite numerous benefits to the United States, including: peace, stability, conflict prevention, and deterrence in Europe; treaty-based defense and security support from 28 allies, including many of the world’s most advanced militaries; an unrivaled platform for constructing and operating international military coalitions; U.S. military bases in strategically important locations; and economic stability in the world’s largest trade and investment marketplace. On the other hand, NATO’s critics argue that European reliance on U.S. security guarantees have fostered an imbalanced and unsustainable “burdensharing” arrangement by which the United States carries an unfair share of the responsibility for ensuring European security. 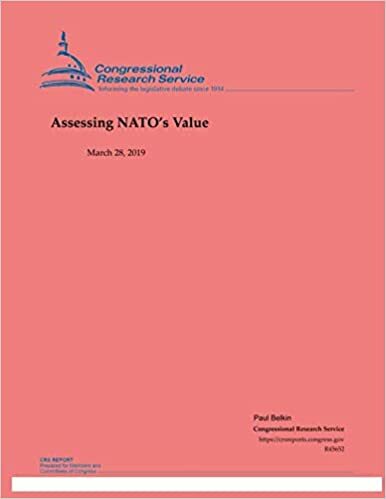 Critics cite the following costs to the United States of its leadership of NATO: loss of autonomy; heightened risks to U.S. forces; continued European military dependence on the United States; provoking Russia; and a negative budgetary impact.